This week’s trivia SMS informed that J.S. 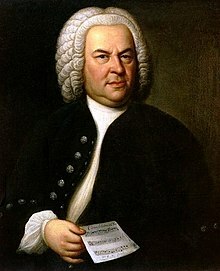 Bach was imprisoned in 1717. What could he possibly have done wrong? Oh, he just got a new job, that’s all. His soon-to-be-former employer, the Duke of Weimar wanted nothing of it and tossed Bach in the slammer. Bach made good use of the time, however–he spent the month imprisoned working on Book One of the Well-tempered Clavier.